It’s that time of year again where everything starts to slow down in preparation for some excessive consumption of mince pies and all things tasty and fattening. It’s also a time to reflect on the year’s achievements (if there were any!) and draw out some lessons. In my case, 2011 has been the year in which I moved from my successful, or perhaps just lucky, foray into small-cap, asset based value investing towards a less stressful, less risky version of big-cap blue-chip value investing. Along the way I tried being a quant for a short while, following a purely mechanistic system, but this was too much for my nerves and ultimately failed the test of being a theoretically sound strategy. There was a lesson though. If you buy small junk companies with lots of debt that look like they’re going to fail, guess what? They often do. So back to the big-cap blue-chip strategy. Why the switch? Well, over the course of several years from around the start of 2008, I followed an approach similar to Ben Graham’s net-net strategy, but tweaked so that it was more likely to actually find something to invest in. The process was simply to buy companies that traded below 2/3rds of their tangible book value, where the company had very little debt and a decent amount of working capital. This approach worked out quite well and threw up a few surprising and highly profitable trades, such as Psion (116% in 67 days), Trifast (190% in 214 days), AGA Rangemaster (22% in 100 days) and Barratt Developments (20% in 143 days). Out of 31 trades there were 7 losses and so 24 made profit, which is a ‘hit rate’ of about 3.5 to 1 which isn’t bad. The average trade made 26% in 310 days, which is also not bad. There were problems though. Most of the annual reports I read through for these companies were full of bad news. Generally the companies were struggling, often to do with the unpleasant economic environment that appeared at around the same time I moved into being a stock picking value investor. Many of them can only be described as weak companies fighting hard to survive in an unforgiving capitalist landscape. In most cases they were not fun to own. I think Ben Graham’s remedy for this fear of negative news would have been to suggest additional diversification. 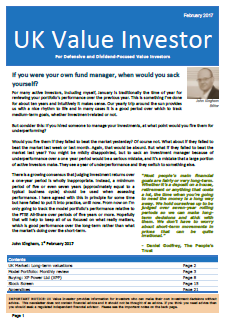 I had a portfolio of only 10 stocks and Graham tended to run over 100 in his net-net fund. Additional diversification would have helped, but there were problems, such as the additional workload; the tiny pool of available companies that actually met my strict price and balance sheet criteria; the fact that I’d have to shrink position sizes which would mean that trading costs would be a bigger drag on performance. Mostly though, I was beginning to have a problem with holding a collection of very so-so companies. I found myself watching the market almost daily and checking my RSS feeds for news on the companies. The risks associated with holding small and struggling companies had beaten me. And so I set out to find a different intellectual path. One which wouldn’t involve investing in small, struggling companies regardless of the strength of their balance sheet. Eventually, after a lot of reading, I started to build a picture of how I could invest, stay relaxed and still expect to beat the market over time. I think it began with The Little Book That Beats The Market. Joel Greenblatt writes in such a simple and convincing way, and the story he tells about the wide swings in the share prices of even the most large and stable companies stuck with me. As did the mantra of buying above average companies at below average prices. It just made a lot of sense that there are companies out there that are able to produce high rates of return and compete effectively against other companies. It also made sense, if you look at the charts, that the price of these companies swings about far more than their intrinsic value ever would. If you look at Marks & Spencer (a company that I have half an eye on at the moment), its share price has moved from less than 300p in the early 2000’s, to over 700p around 2006, and then back down to about 200p in 2008. Really? Did M&S’s intrinsic value really change up and down by a factor of 2 or 3 within a ten year period? Of course it might have, but looking at the dividends and earnings over that period I rather doubt it. 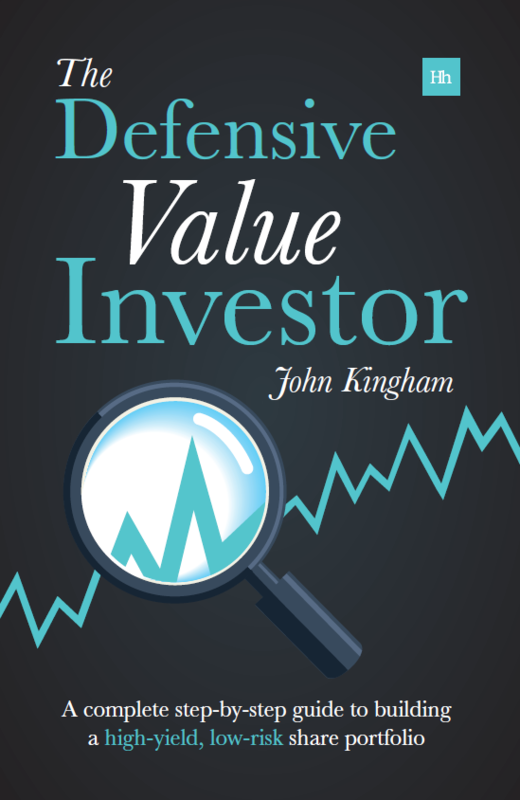 The second key idea came from Buffett, although the general principle goes way back to John Burr Williams and his discounted cash flow ideas. I say it came from Buffett because I read it first in his idea of the equity/bond, a magical share in a company that is so stable and reliable in its earnings and dividend payments that it can effectively be seen as a kind of special bond with an increasing coupon. This idea of consistent growth of earnings and dividends drew me back to looking at the indices again, the FTSE100 and S&P500 primarily. Robert Shiller’s data on the S&P500, as well as my own data on the FTSE100 show that these indices can, in many ways, be seen as super-conglomerates whose earnings and dividend payments march upwards at something slightly ahead of inflation over the long term. These super-conglomerates almost never make a loss, they never stop their dividends and the chances of an index investor making a total loss are about the same as the chances of a nuclear war since that’s about the only thing that would send the FTSE100 to zero, in which case you wouldn’t care anyway. It’s no wonder these index things are so hard to beat consistently. So then I got to thinking that if the index is the benchmark (which it is for me), how can I reasonably expect to beat it while speculating to the smallest possible degree? The answer I came up with was, in effect, to stop being a stock picker. My job now is to build a portfolio which has a decent chance of outperforming the index over the medium term (say 5 years), whilst being about as fundamentally risky as the index. The index has certain characteristics or factors, which combine to generate its long run returns. By optimising these factors in a portfolio the odds of outperforming without taking on large amounts of risk should be improved. So my job is to pick stocks that improve these key factors for the portfolio as a whole, rather than picking a stock that I think will be a winner. Nobody knows what the future holds for each company, just look at the banks. The FTSE100 has a very low level of risk when risk is measured as the chance of a permanent loss or the chance of underperforming ‘riskless’ assets in the long run. The main point about the FTSE100 is that regardless of when you buy it, even if you were mad enough to buy it at the peak of 1999, you will still very likely see good returns over a 30 year period. Not great if the starting point is 1999, but still probably better than government bonds even with that starting handicap. I wanted to build an investment strategy where the chances of making a loss, or performing badly over the long term were virtually zero, so that effectively it was no more risky than the index it was trying to beat. In fact I wanted more than that. I also wanted to lower the chances of huge short-term draw downs, like the 40% decline in the FTSE100 between 2001 and 2003. Avoiding huge drawdowns is important because that’s when people get scared and do stupid things like selling out at the bottom and moving into bonds. The starting point for risk reduction is to focus only on FTSE350 companies (the super-alert among you may spot that I own about 4 small caps, but these will be the last ones). Large companies have a much lower failure rate than small companies. On top of that I’m only interested in companies that have made a profit in every one of the last ten years, paid a dividend in every one of those years, are earning more now from more revenue than they did ten years ago and critically, have relatively little debt compared to their peers and against absolute measures. The next step in creating a robust, low risk portfolio is to make sure it is diverse enough. I hold 20 companies which is probably a minimum amount, and the diversity also applies to industry, geography, customers and other factors. Every time I add a new holding I’m looking for it to be in an industry which isn’t represented in the portfolio and I’m also after international businesses that don’t rely on only a few customers or suppliers. I even spend a little time thinking about how the company would be affected in a huge recession, just like this one. This post is long enough already so I won’t go into economic moats, which I’m far from being an expert on anyway. But it’s important for me to think about why a company’s past success won’t just vanish overnight. I guess I’ll split this into a second post, but for those of you who read these outpourings regularly might see what’s coming next: My research and focus upon the drivers of index returns – inflation, earnings growth, dividend payments and changes to valuation metrics like PE and PB. Have a merry Christmas and remember: invest, don’t speculate. It is this mentality that is responsible for many investment failures. I try to focus on investing n areas that I believe will compound at a stronger rate than inflation over the next decade. (I do believe inflation will be strong for much of the next decade, but not next two years). This focus forces me to think in germs of a stocks current value versus intrinsic value. So I concentrate on the ability of valuation, margins and balance sheet to expand over the next decade. I find the focus allows me to forget about the Market and thus it is beneficial to outperformance as opposed to a hindrance. Hi John, interesting point. I guess it depends on how susceptible you are to being thrown off course by the market in the short to medium term. Lots of value investors in the 90’s got sick of underperforming the market and so switched to GARP or something else. I guess the same sort of thing can occur when the market is down, i.e. you get lazy because the market is easy to beat. I think really my point about beating the market is in the long term. I know that I could have just invested in the FTSE 100 for zero effort. So if in 5 or 10 years time I’m not ahead enough to cover the cost (time and effort) of stock picking, I have perhaps wasted my time and should instead have gone fishing. But you’re right, a focus on process, process, process will always be the right approach rather than gazing at your performance relative to the benchmark in the last year or two. Your journey is fascinating, because most of us are travelling a similar road (albeit not always in the same direction). I’m not sure about smaller companies failing more often, I just wonder if it’s a tautology in that failing companies generally shrink so they’re probably small by the time they fail even if they didn’t start out small! If HMV fails it will be a small company that failed (at least in terms of market capitalisation), but it wasn’t always so. Investors need to avoid failing companies, I agree, but I don’t get any comfort from the size of the business. Good point about small market cap companies failing! That’s very true, but you know what I really meant was a more general sense of size, like assets, turnover, etc etc. I think that’s kind of intuitive, but of course if you buy companies with solid balance sheets that probably more than negates any concern about size. I know another study on net-nets that said they had lower failure rates than the market as a whole so size isn’t everything (so they say). Chalk me up as another who moved along a similar-ish path, albeit to more of a stock picking (tilted towards quality) outcome. I think a big issue with Graham investing today is it’s impossible to get that diversification — there simply aren’t anything like enough cigar butts about. Blame the computers. Perhaps Japan is a better place to look, but I’d be concerned more companies are being propped up for off-balance sheet reasons out there that are even harder to see with a UK perspective. Merry Christmas Monevator. I’m in the process of setting up a long term test on low PB stocks that involves hold 60 positions each for 60 months. The idea is that 60 is a good number for diversification on these crummy companies, and to get around the fact that there aren’t that many AT ANY ONE TIME, I hold for 5 years and trade only once a month so that you take advantage of the fact that there are a lot of qualifiers OVER TIME. Longer holding periods also help with the 10-20% spreads you can sometimes get on these tiddlers.